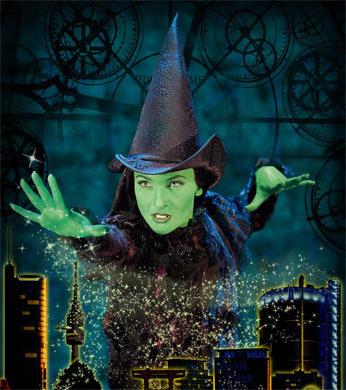 Willemijn Verkaik, is currently performing the role of Elphaba in the Dutch production of Wicked, will make her Broadway debut as Elphaba at the Gershwin Theatre in 2013. Willemijn Verkaik will play a 15-week engagement beginning February 12, 2013. She will succeed Jackie Burns, who plays her final performance in New York on February 10, 2013. Verkaik has performed the role of Elphaba in Wicked for over 1,000 performances in both Germany (Stuttgart and Oberhausen) and Holland. She was awarded the Musicalworld Award for her performance in Wicked and also received the 2009 and 2010 Readers’ Choice Best Musical Actress Award from the German magazine Musical. Verkaik will join a cast that currently includes Alli Mauzey as Glinda, Kyle Dean Massey as Fiyero, Randy Danson as Madame Morrible, Adam Grupper as The Wizard, Catherine Charlebois as Nessarose, Tom Flynn as Dr. Dillamond and F. Michael Haynie as Boq. Buy Wicked Gershwin Theatre Tickets Online, Use Code AFF$10 when you spend $350+ to SAVE $10. This entry was posted on Wednesday, December 19th, 2012 at 8:15 pm	and is filed under Uncategorized. You can follow any responses to this entry through the RSS 2.0 feed. You can leave a response, or trackback from your own site.